Every year, homeowners get a property tax bill based on the perceived value of their home. However, sometimes the assessors that estimate what a home and its property are worth miss things or misinterpret data to come up with how much a house would sell on the market. If you think that you’re paying way too much in property taxes, and it’s because of how it was evaluated, there are some key ways to appeal for lower taxes. Determining the true value of property is a dicey business, especially since it fluctuates with the market and is dependent on how you maintain it and what Mother Nature does. It’s possible that your assessment is incorrect because of a genuine error, and sometimes it’s because of something that happened in the past year. After you get over the shock of a high tax bill, take a look at what the government says about your home. John Wasik, a contributor at Forbes, says that sometimes it’s possible that rooms were miscounted, or your half bath suddenly became a whole bath without the pain of a remodel. Another thing that can affect your assessment is what Wasik calls a special issue. If your home has recently suffered significant damage from a natural disaster or a man-made accident, your property value probably changed significantly. If the government doesn’t know about the matter, it’s a perfect reason to appeal and ask for a lower assessment. While the government estimates the value of your property regularly, as a homeowner, you probably do not. However, if a professional has recently appraised your land or home for sale or insurance and there is a vast difference in value, you can challenge the government with your own findings. Micah Rubenstein of SFGate.com says that you could also choose to hire an appraiser just to appeal a property tax assessment, but he warns that it can cost anywhere from $100-$450. 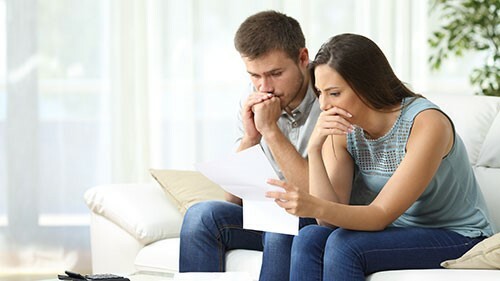 Unfortunately, offering a definitive guide of how to appeal your property tax assessment is difficult, because different areas have their own rules. No matter where you are, however, you need to act fast. Geoffrey White, an attorney with Vorys, Sater, Seymour and Pease in Cincinnati told This Old House that when you get an assessment in the mail, you need to open it promptly. In some areas, you might only have 60 days from when you receive the assessment to appeal it. Some municipalities include forms or instructions for how to dispute an assessment, but if you’re not sure what to do, White recommends calling and asking someone in the office. From there, This Old House says that the process could move on to a hearing to present your case and make a decision. If you think that you don’t owe the government what they say, and you can back yourself up, it doesn’t hurt to try an appeal. If you win, you could potentially save hundreds of dollars. If you’re wrong, it usually only costs you a filing fee.